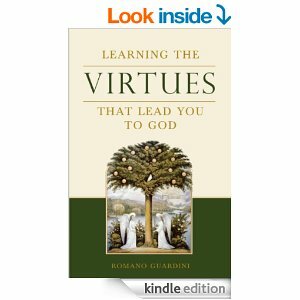 Biography of Romano Guardini - National Institute for the Renewal of the Priesthood. "Faith is the Center" Time Monday, Mar. 14, 1960. Romano Guardini: Father of the New Evangelization, by Christopher Shannon. Crisis 02/07/14. The Things that are Caesar’s: Romano Guardini, by George Panichas. The Imaginative Conservative 05/23/14. Romano Guardini and the Personality of Man, by Bradley J. Birzer. The Imaginative Conservative 05/19/13. Romano Guardini and the Dissolution of Western Culture, by Wayne Allen. The Imaginative Conservative. Reprinted with the gracious permission of Modern Age (Spring 2000). Benedict XVI Has a Father, Romano Guardini, by Sandro Magister. 10/01/08. He was the guide of the young Ratzinger, who has not ceased to draw inspiration from his thought. Forty years after the death of the great Italian-German intellectual, an analysis of his influence on the current pope. The Conversion of Romano Guardini, by Aaron Pidel, SJ. Whosoever Desires January 29, 2011. "He Aspired to the Truth of God and to the Truth About Man" translation of Benedict XVI's address, which he gave last month upon receiving in audience members of the "Romano Guardini" Foundation of Berlin, who were in Rome for a congress dedicated to the memory of the theologian, who was a teacher of Joseph Ratzinger himself. November 24, 2010. Benedict XVI Has a Father, Romano Guardini, by Sandro Magister. He was the guide of the young Ratzinger, who has not ceased to draw inspiration from his thought. Forty years after the death of the great Italian-German intellectual, an analysis of his influence on the current pope. Power and Responsibility, from The End of the Modern World. "The Mother", from The Lord. The Mystery of all Mysteries and the Ethical Life of the Community Text taken from Romano Guardini, Opera Omnia VI, Scritti Politici, edited by Michele Nicoletti, Morcelliana Editore, Brescia 2005. “Holy Week at Monreale" excerpted from Reise nach Sizilien [Voyage in Sicily]”. Guardini on Christ in Our Century, by Joseph Cardinal Ratzinger [Pope Benedict XVI]. Introduction to The Lord. Reverence for the Sacred Review by Marty Barrack. The Catholic Faith, July-Aug 1997.